In four days I will be moving to Taipei. The last two weeks have been busy for me; I expect the next two will be equally hectic. This general state of business has prevented me from posting anything new here at the Stage. I expect to return to a regular posting schedule by the first week of September. If any readers live in the Taipei area and would be interested in meeting up, please send a note to the e-mail address on the side-bar to the right. We can probably make it work. Which Wars Are Most Important? Kurz and Allison, "The Battle of Franklin," chromolithograph (1864). One could quibble with these bullets. The Opium Wars are not listed; given the many tears today's Chinese shed for the Gardens of Perfect Brightness, this may be a mistake. The many stories and battles from the Spring and Autumn (771-453 BC) and Warring States (453-211 BC) periods that are cited regularly in discussions of strategy are also omitted. These battles and stratagems are not presented in the original historical sources as full campaigns with operations that can be parsed and analyzed, but as individual episodes teaching some strategic or moral principle. It did not seem proper to include them. And of course, I ignored the wars fought outside of China, such as the First Gulf War, that have had an enormous impact on current Chinese strategic thinking. [EDIT: See my comments in the thread below on other Western wars often found in Chinese debates]. Yet overall I think this list is solid. If you want to understand how the Chinese think about war--either at the level of popular attitudes towards conflict or in the more sophisticated debates had among military men about strategy and diplomacy--a working knowledge of these wars will be useful. An American wishing to get inside the head of a Chinese strategist would find no better place to start than here. The ways in which these wars are used and remembered are not uniform. The Vietnam War and World War II provide demagogues of all stripes with the simple metaphors they need to bludgeon their domestic opponents. All Americans with a university education recognize terms like "Munich" or "Pearl Harbor" instantly. In contrast, conflicts like the Boer Wars, the Malayan Emergency, and the First Indochina War are virtually unknown to the broader American public, but have been intensively studied and analyzed by defense analysts who sought to find lessons that could improve America's own counter-insurgency campaigns. The First World War and the Napoleonic Wars fall between these two extremes. Which level of war is emphasized also varies from conflict to conflict. The tactics of the Hoplite armies that waged the Peloponnesian War are rarely referenced; if Thucydides is cited, it is for his insights on the political and grand-strategic levels of conflict. The antithesis to the Peloponnesian war is the Falklands Crisis, which is mostly studied and referenced when discussing naval tactics or operational art. The Civil War is the rare conflict (matched only by the Second World War) that has something for everyone. Its echoes ring strong in modern American pop culture and politics. 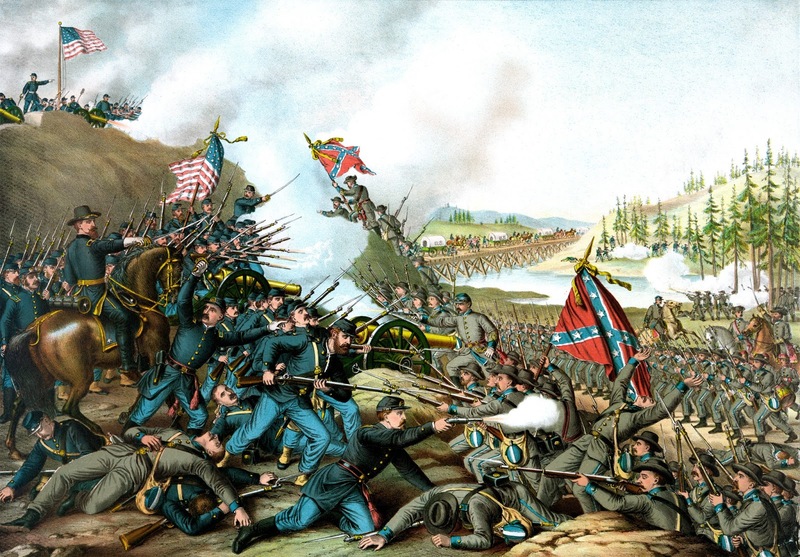 Yet it has more than mass appeal: the American Civil War is subject to intense study by academics and professional strategists alike. These studies range in scale from assessments Lincoln's international diplomacy to small unit leadership lessons gleaned from the Battle of Gettysburg. In sharp contrast to the Chinese list, the wars central to American strategic theory do not span the centuries. With two exceptions, none occurred more than three hundred years ago. This should not be surprising. Western strategic theory is a much newer invention than its Chinese counterpart, and the American nation is less than two centuries old. The geographic distribution is more interesting. With the two conflicts from the ancient Mediterranean again excepted, either France, Great Britain, or the United States was involved in every war listed here. Unsurprisingly, the majority of these were wars waged by Americans. Interest in our own history at the expense of the history of others' is an ideological blinker that dims the brilliance of American strategic theory. However, this weakness is quite natural and likely inevitable. More telling are the conflicts from our own history that are missing from list: the War of 1812, the U.S.-Mexican War, and the myriad small campaigns with Native American tribes are rarely debated in American military circles, despite the trauma of the first and the epochal consequences of the latter two.